I wanted to reach out to you and provide a quick update of what we have been working on in Washington. Please remember to complete the survey located at the bottom of this newsletter, and don't forget to contact my office if you need help. We stand ready to assist. 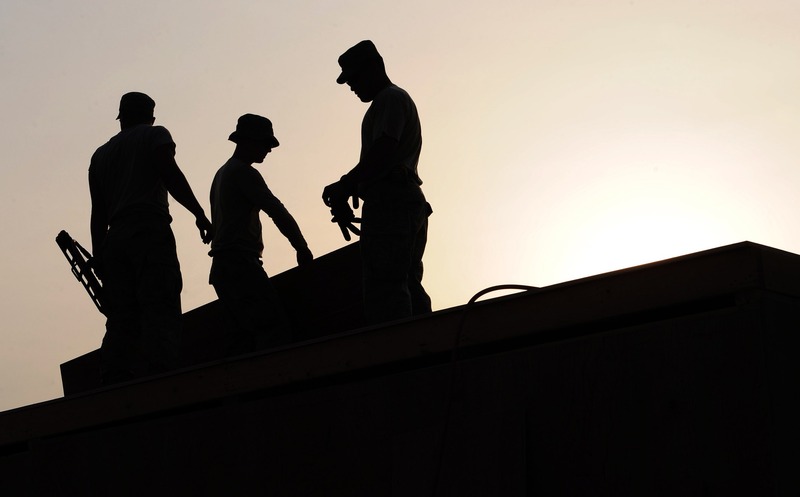 Last week, the House Appropriations Committee passed the Military Construction and Veterans Affairs bill for fiscal year 2018. The legislation funds projects to rebuild, house, train, and equip our military, provides services to military families, and helps maintain base infrastructure. It also funds vital veterans’ benefits and programs, such as the veterans suicide hotline, mental health services, PTSD/TBI treatment, opioid abuse prevention, and rural health initiatives. In total, the bill appropriates $88.8 billion in discretionary funding, roughly $6 billion above FY17 levels. Working on this bill has been one of my most important tasks since coming to Congress. Because we have the largest active and retired military population in the nation, this appropriations bill has a profound impact on our area. Military personnel, their families, and the veteran community all rely on this funding for housing, disability payments, health care, and so much more. Passing this bill out of committee sends a strong message to our military and veterans' community that we support them, that we stand with them, now and for years to come. On Thursday, June 15, the House of Representatives voted to pass H.R. 2372, the Veterans Equal Treatment Ensures Relief and Access Now (VETERANS) Act. 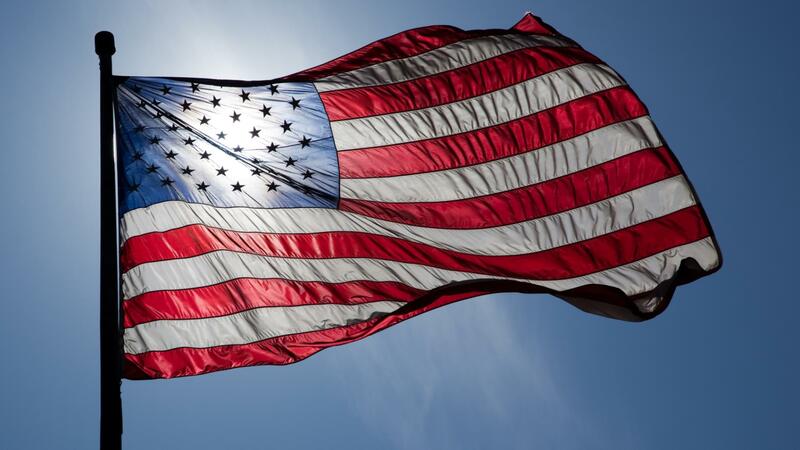 This legislation allows veterans who are eligible for, but do not elect to be covered by, certain Veterans Affairs health programs to qualify for current law premium assistance tax credits. The bill also amends the American Health Care Act (AHCA) to provide the same rule with respect to the new credit for the purchase of health insurance. Veterans have earned access to affordable health care. This legislation takes that a step further by offering veterans a refundable tax credit to purchase health insurance plans with the services they need. Last week, I introduced legislation designed to strengthen accountability at the Department of Veterans Affairs. H.R. 2772, the VA Senior Executive Accountability (SEA) Act, would require the VA Secretary to furnish semiannual reports on the reassignment of senior executive employees at the VA, including the reason for their reassignment and the associated costs. Further, it would require the VA Secretary to personally sign off on senior executive transfers, thus adding an additional layer of accountability. Congress and the American people need to have a clear picture of what is going on behind the scenes at the Veterans Administration. Let us never again be more concerned about protecting sub par performing senior executives, as opposed to ensuring that our veterans receive the best care, high performing hospitals, and accountable leadership. 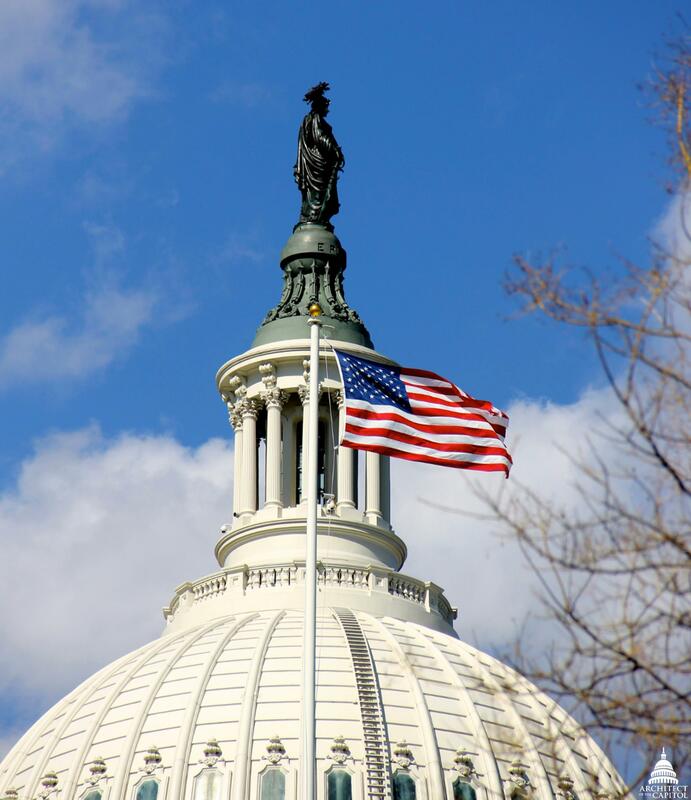 The House of Representatives recently passed the Financial Choice Act. This legislation targets many of the regulations under Dodd-Frank that have given us the slowest and weakest economic recovery in 70 years. For example, the Act ends taxpayer-funded bailouts by ensuring that no company remains "too big to fail." It imposes new and enhanced penalties for financial fraud, and reduces bureaucratic bloat by subjecting all financial regulatory agencies to the REINS Act and its requirement that Congress approve all major regulations. 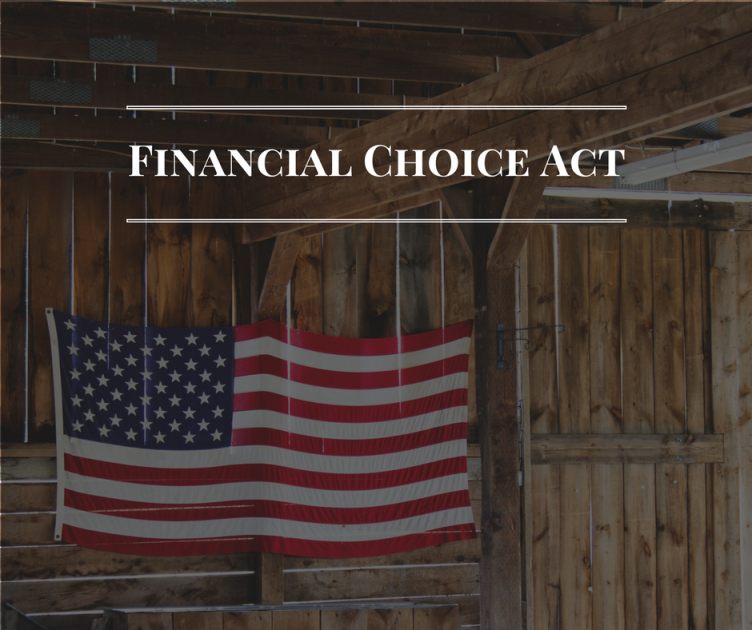 Click here to watch my speech on the Financial Choice Act. 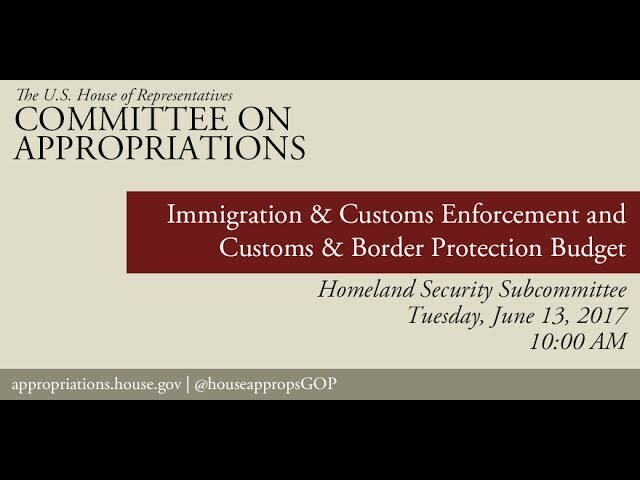 On Tuesday, June 13, the House Appropriations Homeland Security Subcommittee held a hearing to discuss the budget for Immigration and Customs Enforcement (ICE) and Customs and Border Protection (CBP). I had a chance to question Director Homan and Chief Provost about standardizing border barriers, and monitoring and housing illegal immigrants. S. 1094, the Department of Veterans Affairs Accountability and Whistleblower Protection Act of 2017 institutes long-needed reforms at the VA by granting the Secretary authority to expeditiously remove, demote, or suspend any VA employee, including Senior Executive Service (SES) employees, for performance or misconduct. It also grants the authority to reduce an employee's pension if they are convicted of a felony that influenced their job performance, and the ability to recoup any bonus or award if an employee is found to have engaged in misconduct. The legislation also addresses fraud, waste, and malfeasance by authorizing the Secretary to recoup relocation expenses for employees. Additionally, it provides protections for whistleblowers by establishing an Office of Accountability and Whistleblower Protection, with an Assistant Secretary to oversee operations, and whistleblower training for supervisors. It ensures that whistleblowers who have an open complaint or case with the Office of Special Counsel cannot be subject to the Secretary's removal authority. Furthermore, it creates disciplinary measures for employees who engage in retaliation against whistleblowers. The bottom line is that our veterans deserve the same high standard they upheld when they served. There are examples of people who take better care of preserving their jobs than they do veterans. No more. We all know that the VA plays a crucial role in taking care of our veterans, and their employees share a deep passion for the work they do. However, there need to be consequences for employees who do not do their jobs. This should hold true, not just at the VA, but across the whole of government in our country. In sum, the good work done at the VA should not be overshadowed by the actions of a few and those few should never prevent us from achieving a superior standard of service. This bill finally gives the Secretary the authority needed to fine and remove toxic employees, and protect whistleblowers who bring these problems to light. I am proud to have supported this bill and look forward to continue improving health care for our veterans. Recently, in response to President Trump's calls to improve efficiency, effectiveness, and accountability at federal agencies, the VA announced they will develop a next-generation Electronic Health Records (EHR) system for the Department. Part of the system will include merging VA and DOD health records to provide seamless care to veterans across the nation. Do you agree that these health records should be merged or remain separate? Note: By participating in this survey, you are subscribing to my e-newsletter.